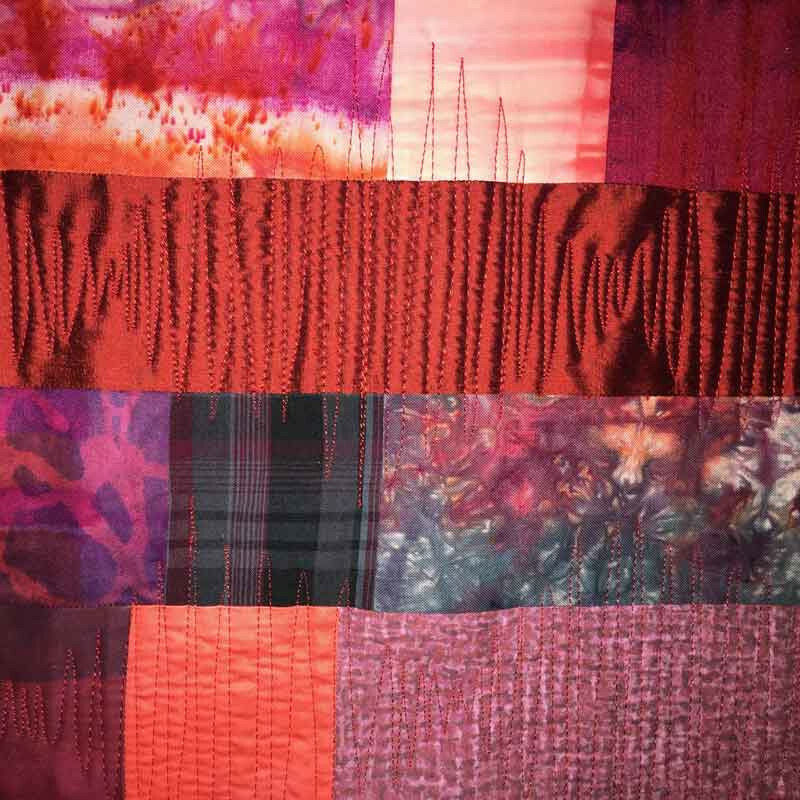 Combining unique hand dyed plain and patterned fabrics with sumptuous silks, these quilts are made to order to a size and colour designed to add a splash of contemporary art for the bed. 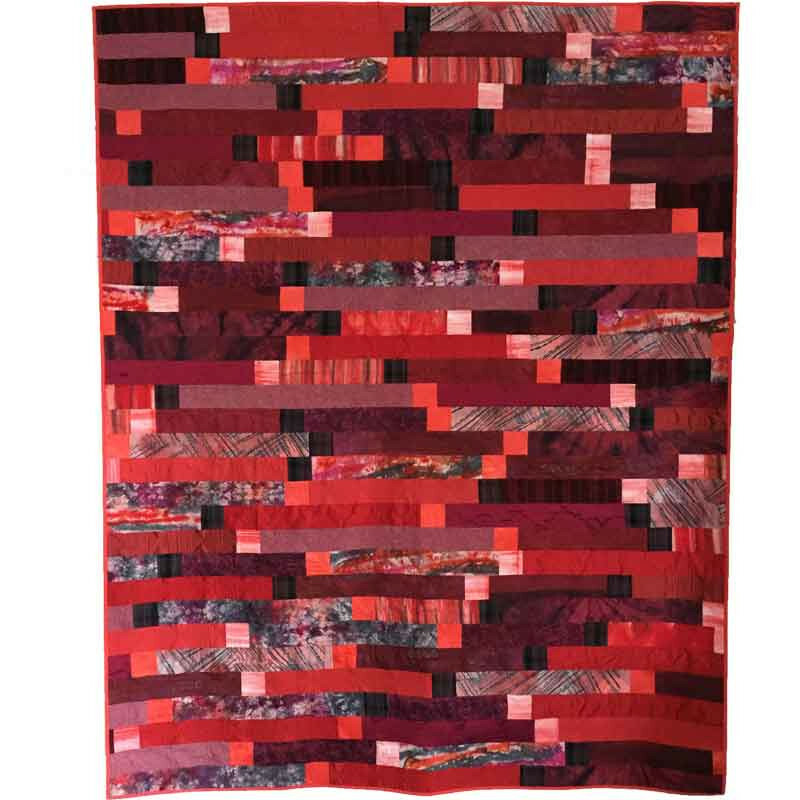 The cottons and silks reflect the light in different ways keeping the surface of the quilt varied and interesting and showing the modern quilting pattern as an extra layer which ties the whole surface together. The quilt can be made as a cot quilt (100cm x 130cm) or as large as a King Size quilt. Your choice of colour will be reflected in a range of fabrics and the contrasts of the little 'chips' of colour which break up the formality of the strips of colour and keep the eye moving around the surface. Price shown is for the small size of cot quilt. 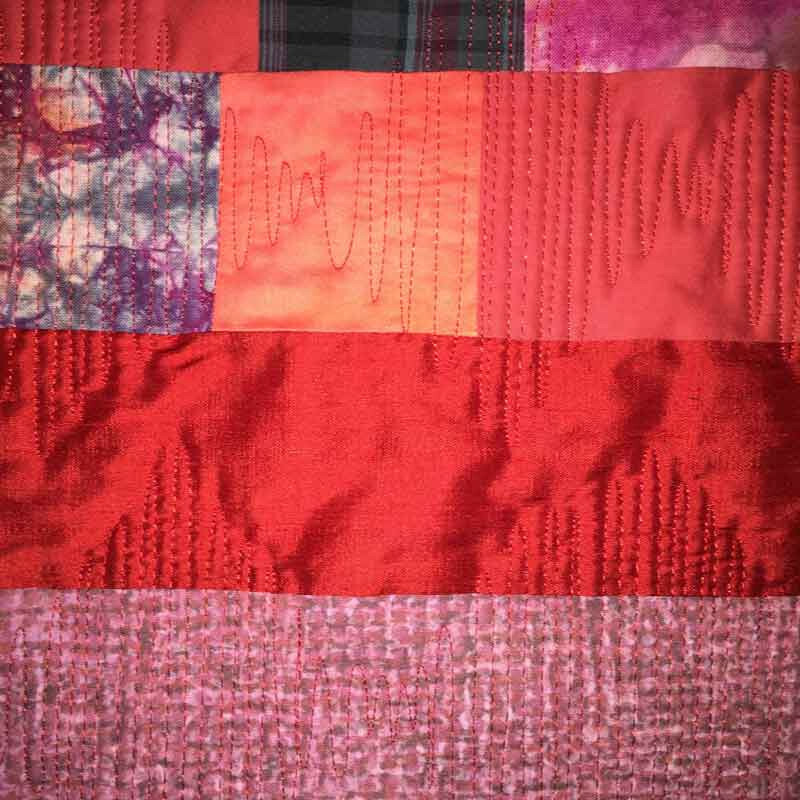 Larger quilts will be priced appropriately. 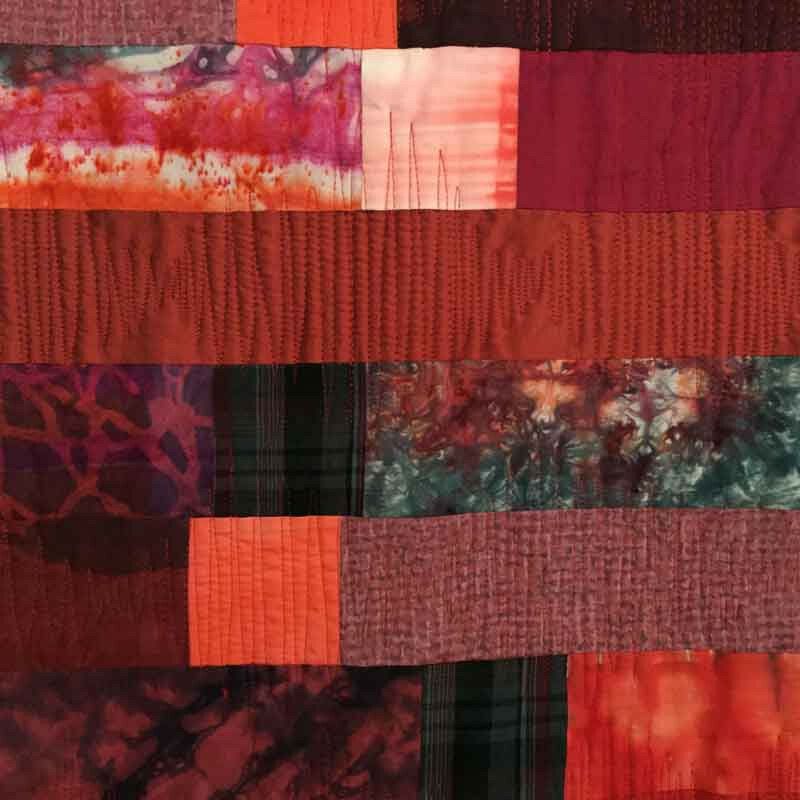 All quilts are machine washable.